Friends.....I have been sitting on some major news over the past two weeks. I am teaming with ASICS for another once in a lifetime experience. This time, I will be running one of Europe’s most popular marathons in October - the 2015 SSE Airtricity Dublin Marathon! Ever since hearing the news, I have been in a bubble of excitement. This will be my 5th marathon and I cannot wait to test my limits. Starting this summer, I will be trained once again by Coach Andrew Kastor, who will get me into prime shape for this race. Until then, I will follow the plan which has gotten me through my last 4 26.2, The Galloway Method - click here for my May marathon training plan. I never thought returning to Europe would happen this soon. My husband and I just celebrated our honeymoon in October 2014 and visited France, Italy and London. It was a lovely trip, however Ireland has always been on my bucket list and I am beyond blessed for getting this opportunity. The Dublin Marathon course is very flat and the weather in October is around 50 degrees. In other words, marathon perfection. Walkers are welcome as the race course is open for 7 hours. There is not a lottery (yet) for this event so runners get guaranteed entry until the 15,000 spots are full. It's 90 euros to register, and with our current exchange rate, this would make the perfect time to run a marathon in Europe!. We will run through many of Ireland's beautiful sights such as Georgian Dublin and several parks and squares. 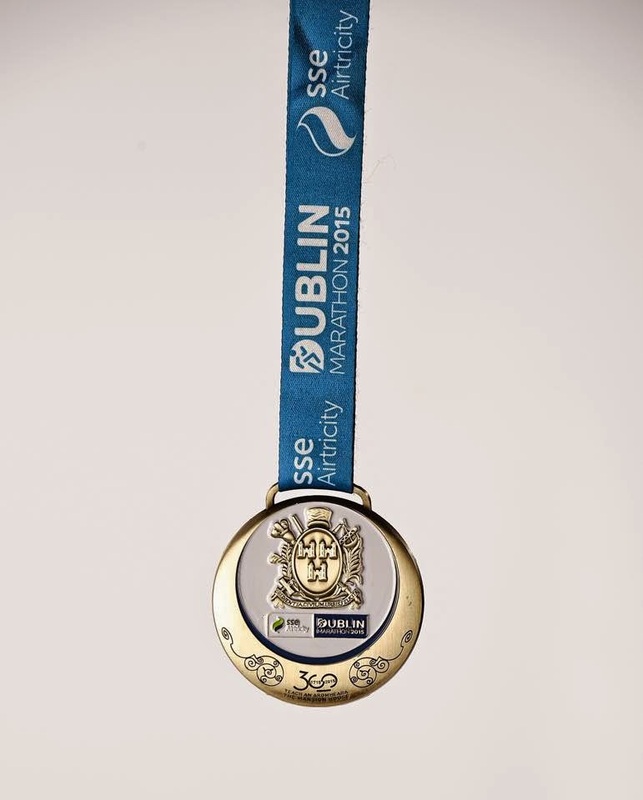 All runners who complete the 26.2 mile course will receive a the 2015 Dublin Marathon Medal. The medal will pay homage to he Mansion House, Dublin which is celebrating it's 300th anniversary this year. 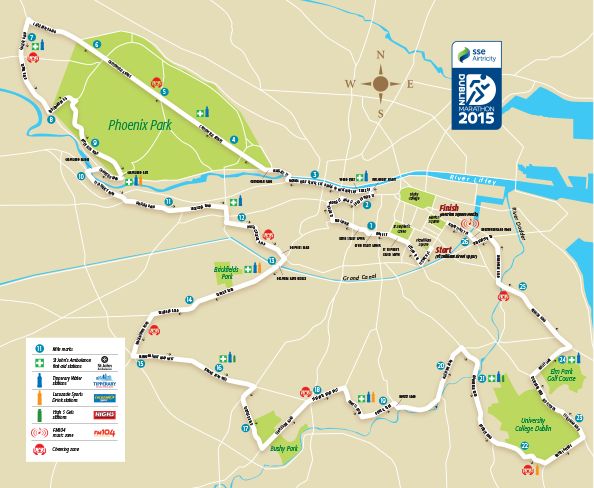 The Dublin Marathon Course course is a loop with start and finish lines in the city center near Trinity College. The race finishes at Merrion Square where a couple of Ireland’s most celebrated writers, Oscar Wilde and W.B. Yeats, have resided. 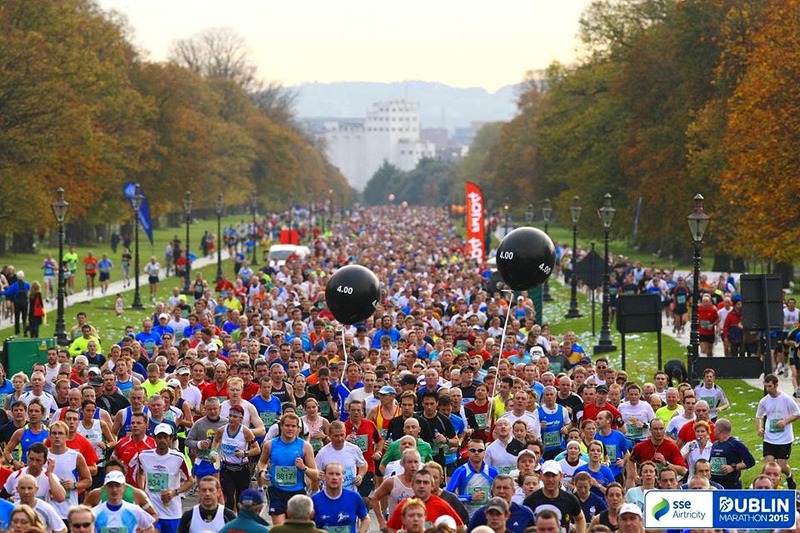 ASICS recently announced their two-year partnership with SSE Airtricit Dublin Marathon, one of Europe’s most popular marathons. The two-year partnership enables ASICS to expand its Marathon portfolio, which already includes New York, L.A, Tokyo, Paris, Barcelona, Belfast and Greater Manchester marathons. 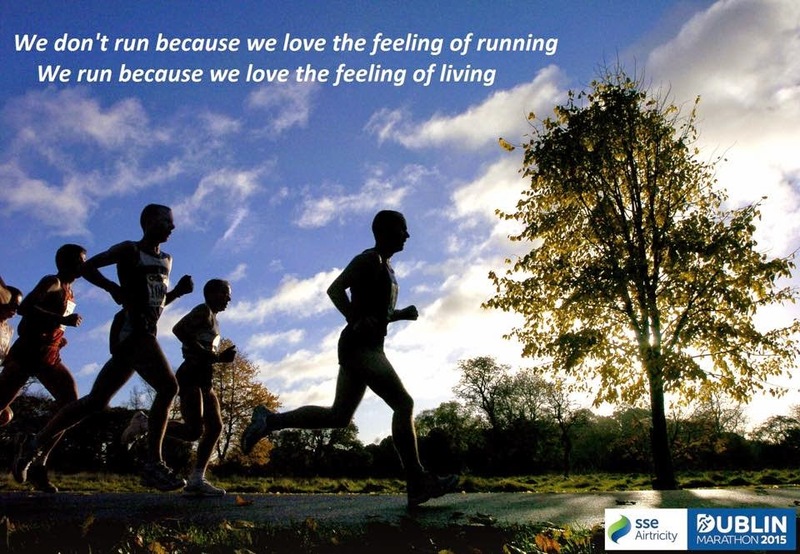 ASICS will be the official sportswear partner for the 2015 and 2016 SSE Airtricity Dublin Marathon. Held over the Irish Bank Holiday weekend of 25th and 26th October, ASICS will provide the official merchandise for the Marathon and will offer unique participant training tips and advice helping runners accomplish their desired results. Awesome! I have never been to Europe. One day! Thanks Heather! Hopefully we will run in Paris next year at Disneyland Paris! How exciting, this is a once in a lifetime opportunity!! I live an hour from Dublin and have run the marathon twice. You will love it! The spectators make it a really special race. The course goes through wealthier and some quite deprived areas but the locals really get into coming out to support the runners every year.